Ali, Zeinab, Nicholl, Samantha, & Salzmann, Zach. (2017, January 30). 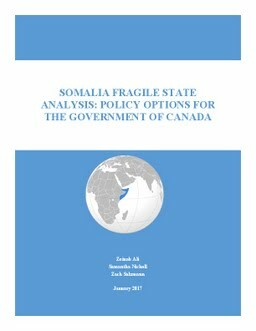 Somalia Fragile State Analysis: Policy Options for the Government of Canada. Country Indicators for Foreign Policy (CIFP). Norman Paterson School of International Affairs.